A few trot-related notes and figures in the wake of the Tater Trot Tracker’s favorite trotter joining the 500 Home Run Club. 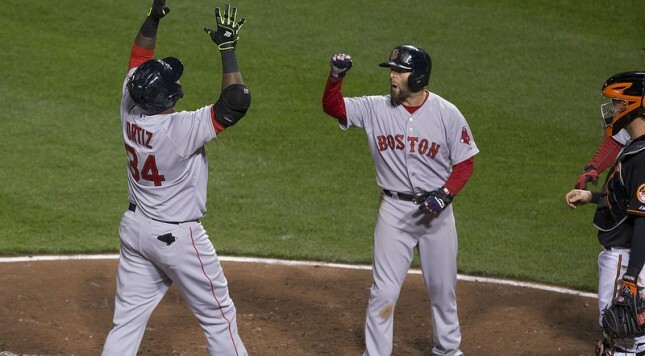 Of those 175 trots, Ortiz took more than 25 seconds to trot home in 155 of them. That means that Papi accounts for 11.5% of all 25+ second trots over the Tater Trot Tracker era. Bringing it up a notch, the Red Sox slugger clocked in at over 28 seconds on 75 of his trots. That’s 47.5% of all 28+ seconds measured trots. Trot #500 clocked in at 29.38 seconds. That was his 31st trot to pass the 29-second mark, giving Papi 55.4% of all trots that took 29 seconds or more to complete. Among recent career milestone trots (A-Rod’s 600th, Pujols’ 500th, etc. ), the 29.38 second trot would rank as fifth slowest. See the full list here (plus #660). And finally there’s the fabled 30-second mark. On May 24, 2010, Ortiz became the first player in the Tater Trot Tracker era to cross the half-minute mark (a mark he reached, coincidentally, at Tropicana Field in Tampa Bay). Since then, Papi has crossed the half-minute mark six more times, giving him 7 of the 16 trots to break the barrier. Only fellow mega-slow trotter Victor Martinez has crossed the mark more than once (V-Mart did it once in 2014 and again in 2015). The average trot time among all trotters over five-plus seasons is 21.95 seconds. Even so, Papi’s average trot time of 27.42 seconds, while glacially slow during a ball game, is good enough for a 6 minute, 36 second mile. At this pace, Papi has spent 1 hour, 23 minutes just trotting home after knocking it out of the ballpark during the Tater Trot Tracker era. In the entire Tater Trot Tracker era, spanning from the start of the 2010 season and running to today, David Ortiz has had only two tater trots clock in faster than 24 seconds: a 23.86 second trot on June 10, 2012, and a 22.97 second sprint a few days later on June 13, 2012. I don’t know what got into Papi that week in 2012, but it was an anomaly for the ages. Congratulations, David Ortiz! Believe me when I say that no player has made the Tater Trot Tracker more exciting everyday than Big Papi. May there be 500 more!